The bridge is the structure that transmits the energy of the strings to the main vibrating part of an acoustic instrument. 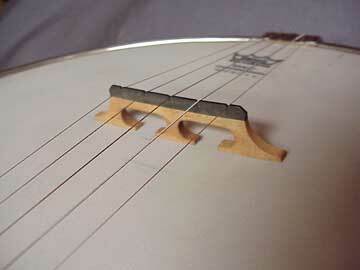 It's propped up between the strings and the head (vibrating membrane) of the banjo. The strings vibrate and the bridge transfers their energy to the head, causing it to vibrate and amplify the sound. 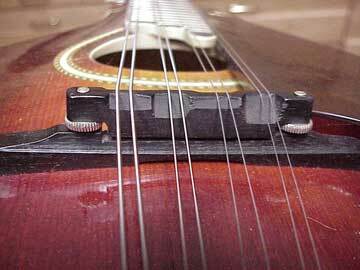 This adjustable mandolin bridge is more complex, with a moveable top piece. 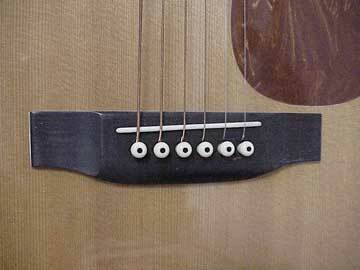 The function of this bridge is just the same as the banjo bridge, where it simply sits between the strings and the vibrating top of the instrument. Here, the bridge acts as the anchor point of the strings themselves. The white structure over which the strings pass is called the "saddle."